Belarusian President Alexander Lukashenka shows his support for Russian foreign policy at CIS members meeting. NATO praises Belarus’s unprecedented transparency provided during the Zapad-2017 army exercises. Belarus marks the 100th anniversary of the KGB, with the agency’s current head, Valier Vakulčyk, revealing a number of interesting facts about its recent operations. Belarus’s visa-free territory has grown even larger as of 1 January 2018. Belarusian lawmakers consider issuing a ‘Belarusian Certificate’ for foreign compatriots. From 2018 on, Belarus is pulling the plug on electricity imports from Russia. All this in the latest Belarus state press digest. 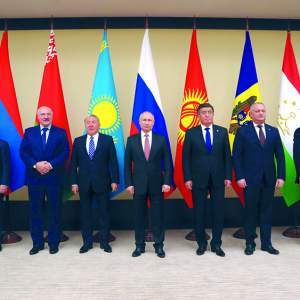 President Lukashenka showed his support for Russian foreign policy at a meeting of CIS member countries. According to the newspaper Belarus Segodnia, an informal meeting of CIS heads of state took place in Moscow on 26 December, where Alexander Lukashenka shared his position on some fundamental issues. CIS member countries include Armenia, Belarus, Kazakhstan, Kyrgyzstan, Moldova, Russia, Tajikistan, Turkmenistan, Ukraine, and Uzbekistan. He expressed solidarity with Russia’s position on Syria; if not for Russia’s intervention, Syria would cease to exist at all. As for the US decision to recognise Jerusalem as the capital of Israel, Lukashenka called it ‘a bit strange.’ He said America should not destroy peace, which was established through so many hardships, and must adhere to the decisions of the UN. The President of Belarus also expressed concern that terrorists displaced from the Middle East would move to Afghanistan, where combatting them will become more difficult than in Syria. Assessing the economic results for the year among CIS countries, Lukashenka said they were positive. However, Belarus will keep on advocating the timely creation of common markets for electricity, gas, oil and oil products, reports Belarus Segodnia. NATO praised Belarus’s unprecedented transparency provided during Zapad-2017 army exercises. At a briefing for Belarusian journalists and experts at NATO headquarters, the organisation’s representatives said, “NATO praises Belarus’s unprecedented transparency provided during Zapad-2017 army exercises,” reports newspaper The Minsk Times. Belarus issued the necessary notifications about the forthcoming exercise and the number of its participants in advance and did not misinform anyone. Indeed, authorities listed that 13,000 participants would take part when, in fact, the actual number was even smaller. Belarus was not obliged to invite international observers, but it did so voluntarily. Moreover, the authorities arranged a five-day tour for the foreign observers, including a flight over the exercise area. “We see that the country is interested in expanding cooperation with the European Union and NATO in security matters. In our opinion, there are no serious hindrances to it,” the NATO officer said. Belarus marked the 100th anniversary of the founding of the KGB. On 20 December, the Belarusian state celebrated the 100th anniversary of the establishment of the various incarnations of its security bodies. The present head of the KGB, Valier Vakulčyk, in an interview to Belarus Segodnya, among other things, revealed a few interesting facts about the agency’s recent activities. From 2014–2017, Belarusian security services identified 59 foreign terrorist fighters on Belarusian territory, 23 of whom were on the international wanted list. The agency head said the KGB did not consider the neighbouring Baltic States, Poland, and Ukraine as a ‘threat.’ Indeed, he said the concept of ‘enemy’ has completely disappeared from everyday KGB vocabulary. However, he also defined “the aggressive methods of the Lithuanian special services, which include targeted provocations,” as “uncivilised.” For the last five years, the KGB detected and disrupted the intelligence activities of 36 officers and agents of special services from foreign states. 13 of these officers and agents faced criminal charges. Vakulčyk also praised the national security training academy, which prepares specialists on behalf of many foreign countries and has developed its own communication systems and equipment for the Belarusian government. Belarus’s visa-free territory has grown again. Since 1 January 2018, foreigners have been able to stay visa-free in six districts located in Belrus’s Hrodna and Brest regions for up to 10 days, reports Belarus Segodnia. Earlier, the visa-free regime only applied to the Hrodna region and only for 5 days. The new visa-free zone in Brest includes Brest City as well as the Žabinka, Kamianiec, Pružany and Svislač districts. Another pleasant change relates to vehicles permitted for travel. While earlier tourists could only come by car or bus, now they will also be able to take trains and planes. However, to use the visa-free opportunity, one will need to buy a tour package for a group or individual. The changes apply to citizens of 77 countries around the world. The tourist companies in Minsk are awaiting the same rules to spread to their territory soon. At present, tourists can come to Minsk without a visa by plane only and for just 5 days. Belarus is thinking about issuing a ‘Belarusian Certificate’ for foreign compatriots. Belarusian MPs have proposed the creation of a ‘Belarusian Certificate,’ which will be issued to ethnic Belarusians living abroad, as well as to their descendants, writes newspaper Respublika. The document aims to ‘strengthen the spiritual connection of Belarusian diaspora with their historical homeland.’ They will be more likely to come to Belarus and thus will improve its economy and image, said Foreign Affairs Standing Committee Chairman Valiery Varaniecki. For others, the certificates would remain merely a symbolic, spiritual tie. Aliaksandr Chuk, the head of Heritage, a Belarusian cultural foundation based in Kazakhstan, calls the initiative very necessary, but notes it should not be seen as an ordinary piece of paper. The document should provide real privileges, for example an opportunity to study or work in Belarus. Today, some 3.5 million Belarusians are living abroad. 2018 is the year Belarus stops electricity imports from Russia. Belarus’s Energy Minister, Uladzimir Patupčyk, assures there is no political background to the decision. Belarus has been long preparing for it. Operators have been gradually reducing supplies from abroad and working modernising Belarus’s energy system. Almost every year, the country introduces new energy capacities, modernises existing power plants, and encourages the consumption of local fuels—which includes the use of renewable energy. For example, the two largest hydropower stations in the country, Polack (21,7 MW) and Viciebsk (40 MW), were launched in 2017. In addition, Belarus finished full-scale reconstruction of one of the oldest power plants in Homiel. In 2019, the country plans to launch the first bloc of its nuclear power plant, writes newspaper Soyuznoe Veche. The state press digest is based on a review of state-controlled publications in Belarus. Freedom of the press in Belarus remains restricted and state media convey primarily the point of view of the Belarusian authorities. This review attempts to give the English-speaking audience a better understanding of how Belarusian state media shape public opinion in the country. In 2017 Belarus Digest readers particularly interested in our articles on Belarus visa issues, security as well as the relations of Belarus and Russia. 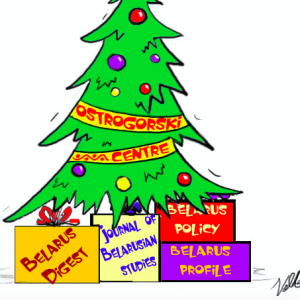 Belarus Digest team wishes its readers a healthy, productive and happy new year! Here we compiled our top 10 most read stories published in 2017. 1. Visa-free travel and registration in Belarus: not so simple by Yarik Kryvoi. 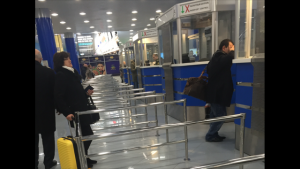 Starting 12 February, citizens of 80 states, including 39 European countries, will be able to enter Belarus visa-free through the Minsk National Airport. But unlike Kazakhstan, which allows foreigners to stay in the country for up to 30 days, Belarus introduced a much more tricky visa-free regime. Foreign travellers should be prepared for strict penalties should they fail to understand or abide by the rules. The current practice of registering people with Belarusian visas staying for longer than five days sometimes creates an impression that Belarusian migration authorities view tourists as cash cows. 2. The Belarus-Russia conflict through the lens of the Gerasimov Doctrine by Arseni Sivitski. Tensions between Belarus and Russia have been mounting over the past months, as the Kremlin puts more and more pressure on Minsk. The nature of this pressure is perfectly encapsulated by the so-called Gerasimov Doctrine of hybrid warfare. According to the doctrine, Belarus and Russia have entered the ‘pre-crisis’ stage of the conflict. 3. Belarus at the centre of Russia-NATO wargame simulation by Arseni Sivitski. On 23 – 26 January 2017 a Baltic security wargaming simulation took place in Warsaw. Two defence and security think tanks, the Potomac Foundation and the Casimir Pulaski Foundation, hosted the event. The wargaming initiative focused on the scenario of a Russia-NATO conflict and analysed the nature of the Russian military threat to the Baltic States and Poland. As a result, Belarus was found to be a key contributor to regional security and stability by containing Russia’s aggressive strategy. The author of this piece also took part in the simulation. 4. 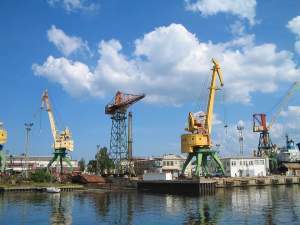 Putin expects Belarus to boycott ports of the Baltic States by Siarhei Bohdan. The next day, the Belarusian state-affiliated news agency BelTA published an interview with the acting director general of Belarusian Oil Company, Siarhei Hryb. The article made clear that Minsk wishes to continue its cooperation with the Baltic states. 5. 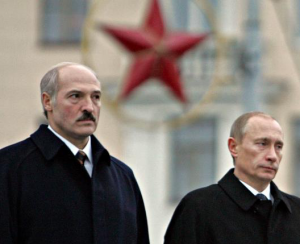 Will the Kremlin topple Lukashenka? by Ryhor Astapenia. 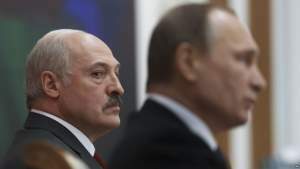 Recently, the rhetoric surrounding Russian-Belarusian relations has become so sharp that some journalists and analysts believe the Kremlin plans to overthrow Aliaksandr Lukashenka or occupy Belarus. However, off and on conflict remains a fixture of Belarusian-Russian relations. Despite the belligerent grumbling, Lukashenka mostly upholds the Kremlin’s interests, promoting cooperation between the two countries. 6. The West-2017 Belarus-Russian military exercise: smaller than anticipated by Siarhei Bohdan. 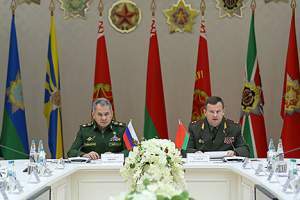 During a meeting with defence minister Andrei Raukou on 20 March, president Alexander Lukashenka demanded ‘absolute transparency’ at the forthcoming West-2017 Belarusian-Russian military exercise. The Belarusian government is working to counter the negative repercussions of such a massive show of military force in the region. 7. 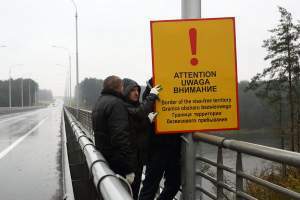 Moscow erects border with Belarus, undermines its links with Ukraine and the Baltics by Siarhei Bohdan. On 16 February, Dmitry Peskov, Vladimir Putin’s press secretary, announced that the Kremlin does not plan to introduce a visa regime with Belarus. His statement comes in a context of increasingly harsh measures on behalf of Moscow towards Belarus over the past half year, beginning when Russia decided to partially reinstate its border with Belarus, which had been abolished in 1995. The Kremlin is also working to undermine economic ties between Belarus and its other neighbours, paying special attention to the energy and transportation sectors. Results have been tangible: Belarus has already decided to stop importing Ukrainian electricity. Moscow is also doing whatever it can to convince Minsk to use Russian ports rather than ones in the Baltic countries. Russia accuses the West and its allies in the region of undermining links between Eastern European countries. However, its own policies pursue exactly the same aim. Minsk must fight hard to resist these efforts by the Kremlin. 8. Belarus prepares to expand its visa-free zone by Alesia Rudnik. In October-December 2016, almost 2,000 tourists took advantage of new visa-free regulations to visit Hrodna Region. In response to the increasing amount of foreign tourists, Hrodna Region has started working on two important initiatives: visa-free railway voyages and launching low-cost flights to Hrodna airport. However, making railway services and the Hrodna airport accessible visa-free will not attract many more tourists if more tourist services are not first developed. Extension of the visa-free territory to the whole of Belarus and investment in the development of services would significantly improve the popularity of Belarus for tourists. 9. Anarchists, the avantgarde of social protests in Belarus by Alesia Rudnik. On 15 March, Belarusian authorities detained dozens of citizens protesting against the social parasite decree. Anarchists were one of the most noticeable movements at the protests in Brest and Minsk, causing an immediate reaction from the police. Anarchists in Belarus, who have a long history, tend to participate only in particular political events. Their creativity and integration distinguished them from other groups during the last two weeks of protests. The regime has put considerable effort into diminishing the influence of any uncontrollable and integrated group of dissidents, including anarchists. Independence Day on 25 March will show whether the anarchist movement in Belarus is ready for social and political protest or whether it will continue to operate mostly underground. 10. Belarus’s new Russian arms: what Minsk has given in exchange by Siarhei Bohdan. In an interview published on 23 February, Belarusian defence minister Andrei Raukou announced the forthcoming purchases of state-of-the-art Russian weaponry. 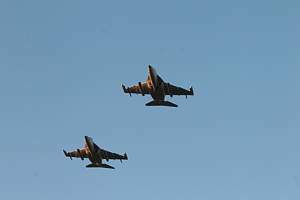 He specifically mentioned the Su-30SM fighter aircraft and 120mm Nona-M1 heavy mortars. Earlier, on 4 February, armament director of the Belarusian armed forces Major General Ihar Latsyankou said that Minsk would purchase these systems this year. In other words, despite its dependence on Moscow, Minsk has prevailed in its dispute with the Kremlin over defence issues. Moscow initially did not wish to provide Minsk with weapons, intending instead to replace Belarusian with Russian troops. However, it has conceded one position after another. Minsk has thus emerged victorious in this spat.